The military could be putting pilots’ lives at risk in its hurry to begin training with the next-generation F-35 Joint Strike Fighter. That’s not some outrageous claim by poorly informed peaceniks or some muckraking journalist: It’s the official position of the Pentagon’s top weapons tester, Dr. Michael Gilmore. The F-35’s developers — the Air Force, the Navy and Lockheed Martin — disagree with Gilmore’s assessment. 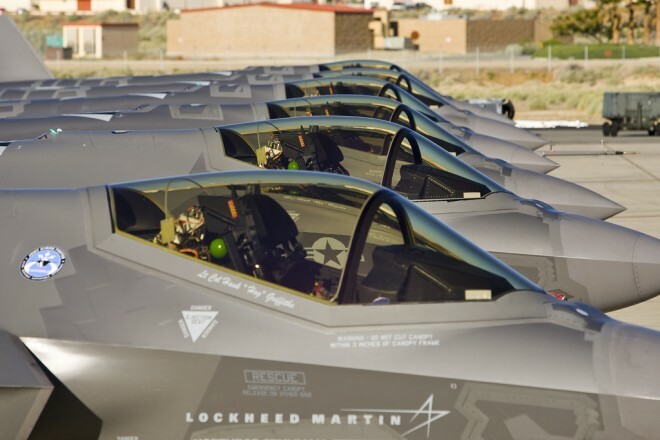 But the controversy underscores continuing problems with an aircraft that’s supposed to replace almost all of America’s current tactical warplanes, at a cost of more than $400 billion. In a memo dated Oct. 21, Gilmore, the Director of Operational Test and Evaluation, asked Undersecretary of Defense for Acquisition, Technology and Logistics Frank Kendall to consider delaying the commencement of F-35 training by 10 months, in order to give engineers and testers more time to work out the $100-million-apiece JSF’s kinks. “Initiation of training in an immature aircraft risks the occurrence of a serious mishap,” Gilmore wrote in the memo, which was leaked to the Washington, D.C.-based Project on Government Oversight. Initial “familiarization” flights for future JSF pilots were set to begin this fall, using a handful of so-called “Lot 2? F-35As completed by Lockheed this summer. The Lot 2 planes have been parked at Florida’s Eglin Air Force Base — future home of the Pentagon’s JSF “schoolhouse” — for several months, awaiting a certificate from the Air Force that will allow them to begin flying with student pilots aboard. But Gilmore cautioned that the F-35 design might not be safe enough for trainees, regardless of any Air Force certificates. In his memo, Gilmore outlined several problems that he claims could result in a preventable, fatal accident during early training flights. The problems range from incomplete flight manuals, an untested ejection seat and a faulty generator that recently forced the Pentagon to briefly ground the 20-strong JSF test fleet. Gilmore backed up his concerns with hard numbers. The JSF team at Edwards Air Force Base in California has racked up 1,000 hours in F-35As since testing began five years ago. “Historically, flight training has not commenced for newly developed aircraft until 2,000 hours to 5,000 hours of monitored flight test have been accumulated,” Gilmore wrote. With that many testing hours, a new warplane traditionally experiences in-flight problems 1,000 times for every 100,000 hours in the air — an “abort rate” that’s considered acceptable. At the moment, the F-35 has an abort rate of 3,000 per 100,000 hours. “A high abort rate correlates to a higher risk of catastrophic failure,” Gilmore warned. Ten months of additional testing should drive down the abort rate, give engineers time to fix technical flaws and make the F-35As safe for new pilots, Gilmore advised. But a training delay could push the date of the JSF’s combat readiness even farther into the future. Already, the jack-of-all-trades warplane is around five years behind the original schedule, severely disrupting the Pentagon’s plans for replacing its 1980s-vintage F-15s, F-16s and F/A-18s. Owen and Venlet insisted that no F-35 training would take place until the Air Force awarded the certificate — and that won’t happen as long as there are any “open issues” regarding the JSF’s safety. But the two flag officers still anticipated the certificate would be issued this fall, allowing training to commence. On Oct. 25, Undersecretary of Defense Kendall wrote to Air Force Chief of Staff Gen. Norton Schwartz and Air Force Secretary Michael Donley, asking for resolution of the controversy. “I would appreciate hearing what decision you make,” Kendall wrote. Presumably, so would the military pilots whose lives will be at stake when they (eventually) climb into their F-35s for training flights.